Do you own a restaurant business? Well, maybe you ran a local boutique that took off and now you’ve expanded to include a little coffee shop next door. Perhaps you tried your hand at retail first before realizing that the restaurant industry was your calling. Since you already had experience in retail, you decided to keep the same point of sale system you used in your boutique for your restaurant. Maybe you decided this on your own or received advice from someone else. Whatever the case may be, there seems to be a misconception out there that retail point of sale (POS) systems can work as substitutes for a restaurant POS and that notion is just plain wrong. Before diving into why a retail POS is not ideal for a restaurant, let’s take a step back a first talk about what a point of sale is and why you should use one in the first place. In today’s world, using a pen and paper and an old-fashioned cash register to complete transactions just isn’t practical. You want to be efficient in order to keep customers happy and tables turning. That’s where a point of sale system comes in. A point of sale system helps to make everything from inputting orders to inventory and even taking payment more streamlined. But, using a POS that is tailored to retail isn’t wise because a restaurant is a completely different business with different needs. Having the technology in place that is industry-specific better caters to the demands of a restaurant business. Here are 3 reasons why a retail POS simply is not an alternative to a restaurant POS. Think about it like this: Just because you can physically cram seven people into a compact car doesn’t mean that you should, and it certainly doesn’t mean that opting for an SUV with an extra row of seats isn’t by far a superior option that will make the whole experience better for everyone. If you’re running a restaurant, the compact car in this scenario is a retail POS system and the SUV is played by a vastly superior restaurant POS system that’s designed specifically for all the unique demands that a restaurant puts on a POS system. Sure, if you choose to use a retail POS for your restaurant, you can figure out workarounds to make it useable, but this isn’t the most effective use of your time. A point of sale system’s purpose is to make daily operations easier for you – so why waste your time trying to make something work when there are better options? Plus, point of sale companies that are made for the restaurant industry strive to integrate with other restaurant-centric platforms. POS companies integrate with menu management companies, delivery services, loyalty programs, staff scheduling tools, and much more. You just won’t get that type of seamless integration with relevant restaurant technologies if you invest in a retail point of sale. Before deciding on one point of sale system, weigh your options. Point of sale providers will be happy to provide you with a demo so you can see how the software works firsthand before choosing a provider. How often does a retail team need to modify any of the inventory beyond adding a discount to a pair of jeans? Not often, if ever. Restaurant workers, on the other hand, are constantly modifying inventory to meet the often highly particular needs of their guests. Add cheese, substitute onion for tomato, and sweet potato fries instead of salad, are just a few modifications servers hear on a daily basis. Without a restaurant POS system, you’ll have to rely on servers and bartenders to type all specifications in manually or run back to the kitchen every 20 minutes to communicate with the back of house staff. These methods leave a lot of room for human error, especially when the restaurant is busy at peak hours. Human error leads to mistakes, which lead to unhappy customers. Plus, these ways of noting modifications on orders are not the most efficient or time-friendly way to go about business. In the restaurant industry, time is money, and you don’t want to be wasting time with manual work that could be automated with a point of sale system. Retail POS systems only need to carry out very basic functions like selling, returning, discounting, and tracking items. In most retail scenarios, once something is sold, it goes from “in stock” to “out of stock” and that’s about it. 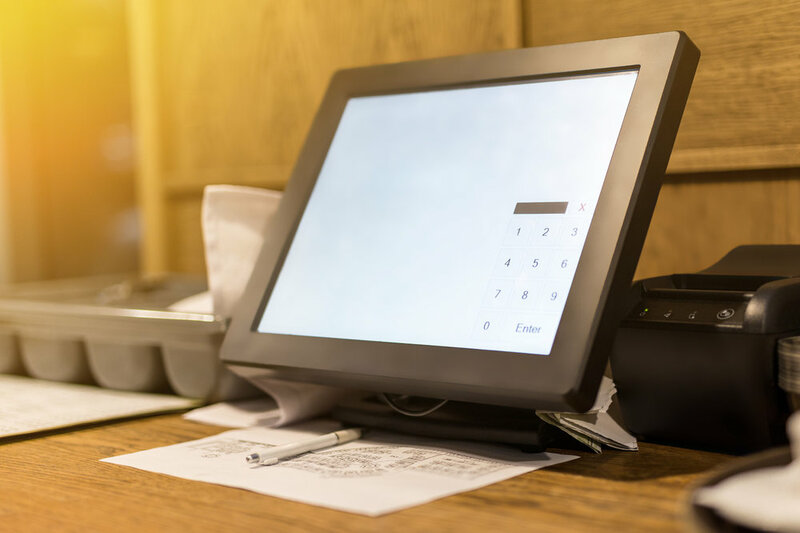 Restaurant owners should demand so much more from their POS system in order to help streamline operations, recognize trends, and get the job done quicker. As everyone knows these days, marketing is essential to successful restaurants, and you should be able to track your marketing campaigns through your point of sale. Loyalty and rewards programs will keep customers coming back time after time, and is a feature that retail POS systems can’t handle. Unless you want to manage your loyalty program on a paper punch cards, you’ll need a restaurant POS system that can easily (and digitally) handle the functions of a rewards program. Your inventory is always fluctuating. Keeping track of stock with pen and paper is unnecessary and not the best use of time, money, or resources. Restaurant inventory management saves owners 30-50 hours per week and will help streamline back-of-house, reduce waste, and cut your food costs. Point of sale systems were made to help business owners make day-to-day tasks easier and faster. However, certain POS systems were created with a specific industry in mind. Retail software is great for clothing stores and furniture outlets, but they don’t serve the restaurant industry as well. Having industry-specific technology in place is wise because it was built with you, the restaurant owner, in mind. 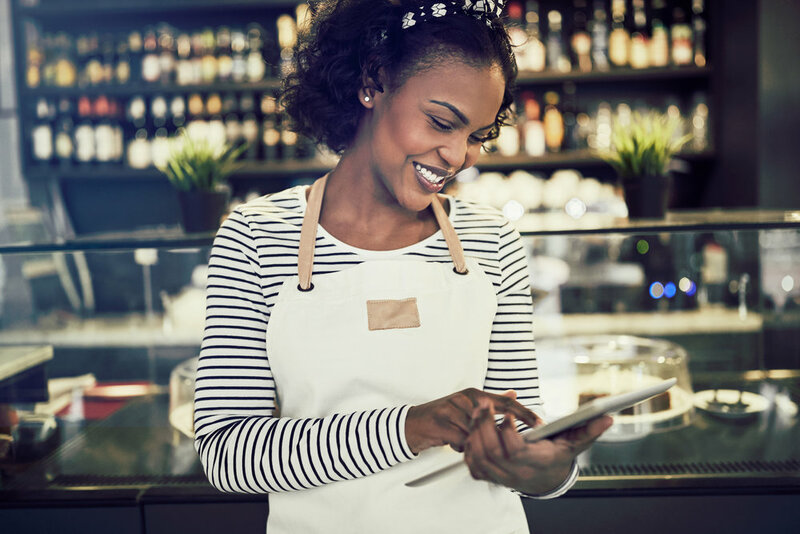 Before making a decision on a point of sale system, weigh your options, check out the features, and figure out what’s best for you. 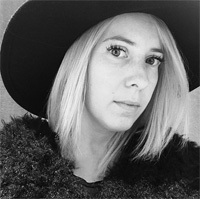 About the Author: Vania works closely with the restaurant industry and has shared her behind-the-scenes stories and experiences for 5+ years. She’s an ardent advocate of Upserve’s technology solution and the way it’s transforming the restaurant industry.